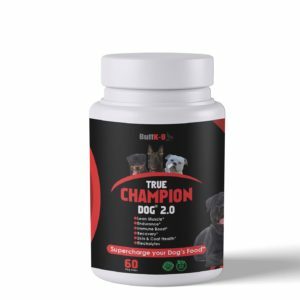 BuffK-9® True Champion Dog™ formerly known as “Original” black label. Performance and health supplement for serious dogs. This supplement is in a league of its own, no other supplement comes close. With all natural ingredients specifically designed to meet the needs of extreme performance dogs, sporting dogs and show dogs but also balanced enough for the everyday pet to use for overall health. 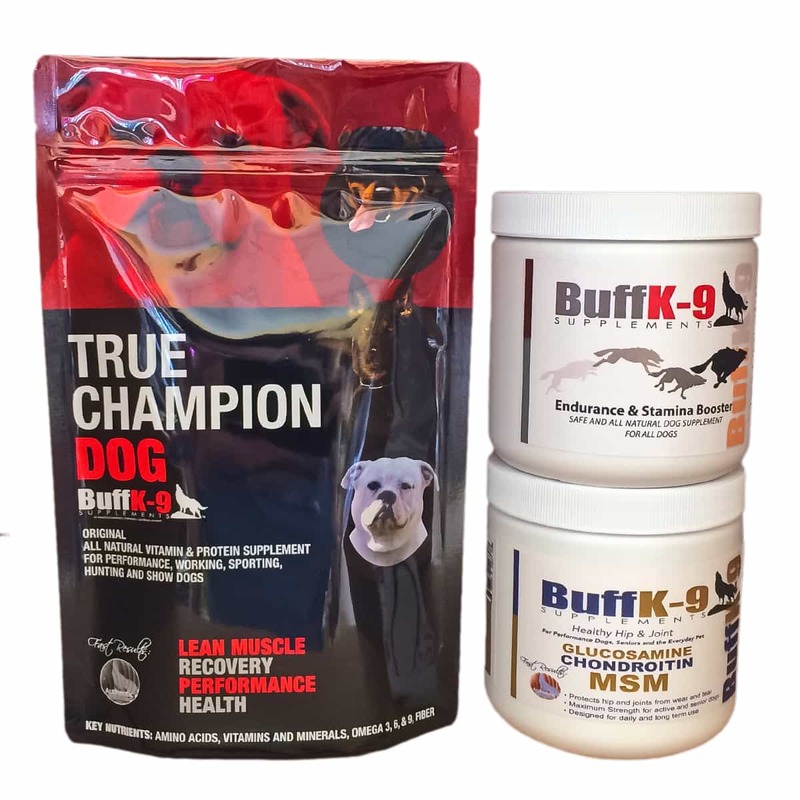 BuffK-9® Endurance & Stamina Booster (90 servings). For performance and health. The Endurance & Stamina Booster is designed for extreme sporting dogs, hunting dogs, schutzhund dogs, and show dogs. 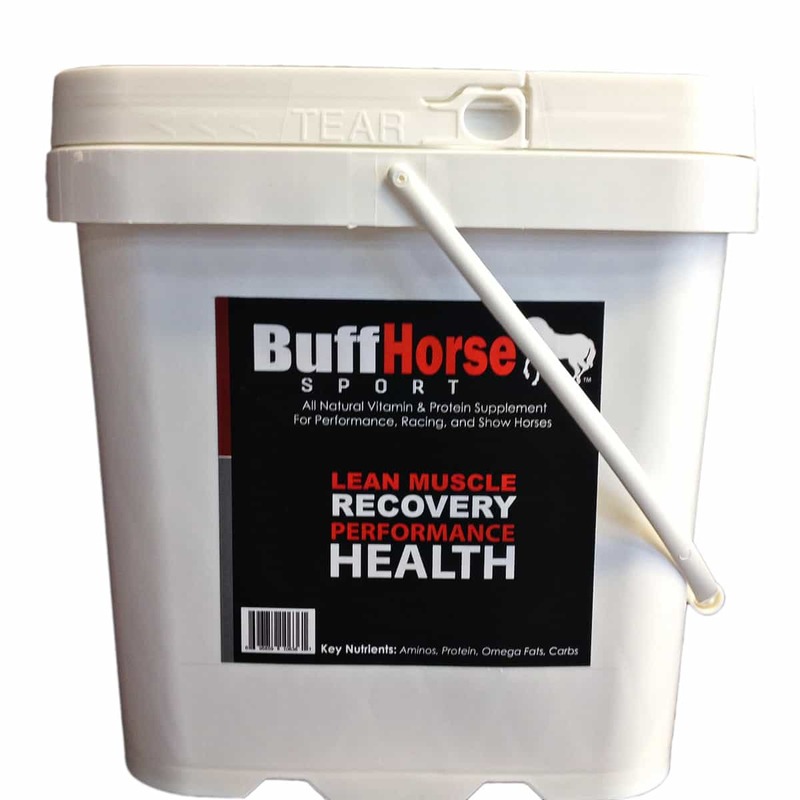 This formulation does exactly what the name says, boosts endurance and stamina when it is needed the most. Serious competitors must have this supplement to help improve blood flow, oxygen saturation, and help the heart function with less stress. Try the stack today. 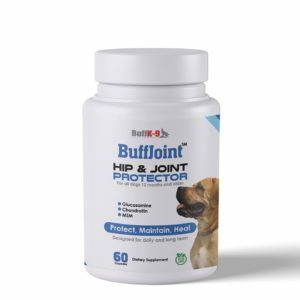 BuffK-9 ® Healthy Hip & Joint Formula (up to 80 servings). For performance dogs, senior dogs, and everyday pets. Helps to support overall joint health, manage pain, protect cartilage, lurbricate and rebuild damaged joints. Glucosamine, Chondroitin, and MSM.